It’s finally starting to feel like winter is coming to an end in my part of California. This winter has been an odd one for me. Normally I’m most physically active during the cold, rainy months. This winter, not so much. I’ve been feeling a bit, shall we say under the weather? I’m not sure if it’s the election and the ensuing mayhem or if my RA is starting to respond to the weather differently. Maybe a little bit of both. That coupled with my usual end of winter blues makes for some rough days. But, the lengthening days will remedy things shortly! Nature’s rythms. They may be a little inconsistent at times, but they persist. Birds across North America are already starting their mating rituals. Soon, nest building and egg laying will start. With that in mind I scrambled over to HumbleBeads Etsy Shop to look for some birds. The heart you see in the photo comes from there. A bird suits in a nest, perfect. 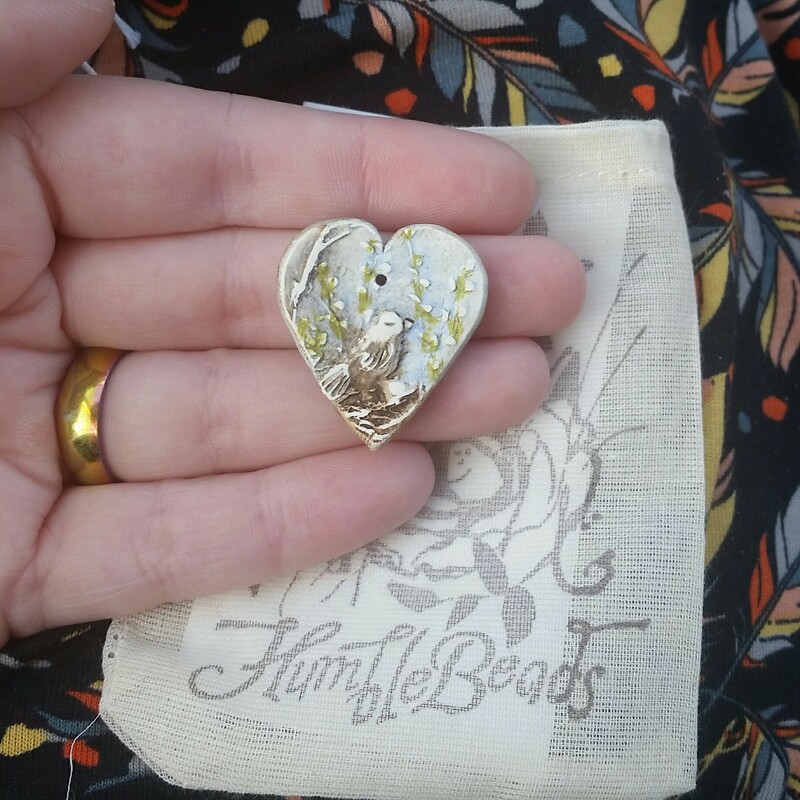 It arrived this weekend and is ready for a necklace. 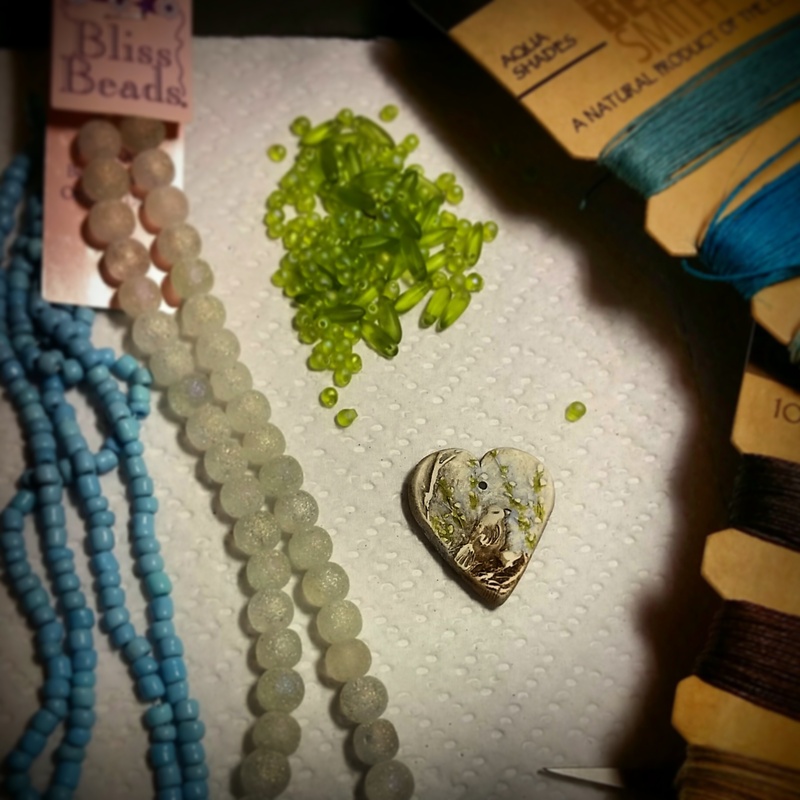 I’m playing with knotting some irregular seed beads on hemp for a rustic look. We’ll see how it turns out. Nestbuilding can be fidgety work.